Yesterday's neolithic gnome was named "Ptorna" by reader Chris, and Lizardbreath McGee informed us that, "she hunts tiny, tiny mastadons." Very well played, guys. Willikers. As in, "Gee, Willikers!" which is what people say when his beetle accidentally runs him into their eyeballs. You are up late, commenter Q. The gnome is named Gnorville, and the beetle Wilbur. Ronald. He is afraid of being in low places. He never wears a parachute. 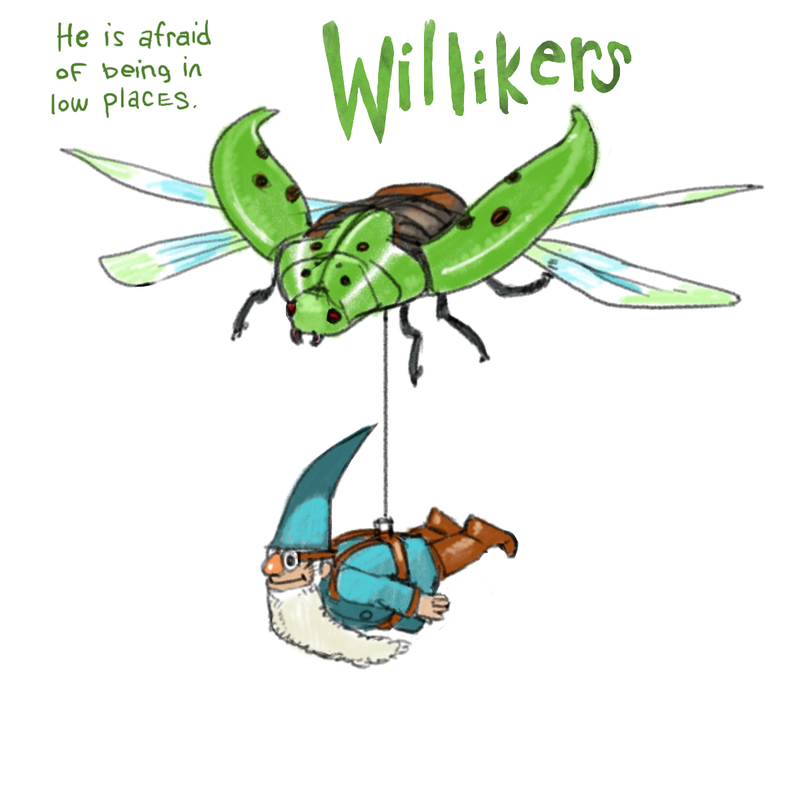 He flies with his bug. I think I'd name him Dex and his beetle Henry. Geronigno! His parents named him this after he repeatedly jumped off of the table and the couch as a newborn. Yes, the exclamation mark is included. A New Name Game Appears!